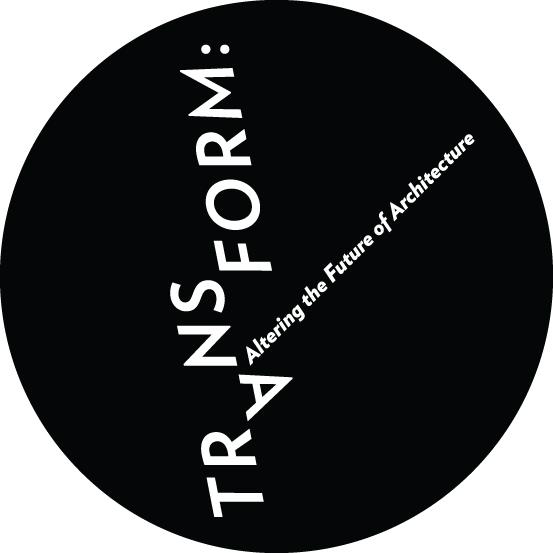 With the 2013 National Architecture Conference having wrapped up and Architectural life returning to normal programming, there is now time to go back and reflect on the event titled Transform: Altering the Future of Architecture. For those who missed my earlier post on the event, it was a full day workshop, run and organised by the team behind the Parlour: Women, Equity and Architecture website to discuss the practice of architecture. Having decided to take annual leave to attend this event, I received a couple of confused looks and surprised responses when discussing my plans to participate. There are many reasons why I decided to go. Most importantly this agenda of achieving gender equality in the architecture profession is one that I strongly believe in. Architecture is for everyone, not just for males, and not just for what my history teacher referred to as the WASP’s (White, Anglo-Saxon, Protestants). Architecture must be inclusive to be relevant. This event was also an opportunity to follow up on some of the issues I covered last year in my interview with Sonia Sarangi: Feminism and architecture in 2012. Issues such as how can we combat the ‘long hours mentality’ and achieve greater flexibility would be discussed in detail. Beginning in university, architecture has a culture of long hours and all-nighters. I remember asking a university colleague on the Friday morning of a submission when he last slept. His response was that he had a few hours of ‘shut eye’ on Tuesday night. This culture of doing massive hours flows into industry with the graduates eager to impress their new employers. Speakers at Transform highlighted the foolishness of this culture and the negative effect it has on the industry. Those doing the long hours are almost always operating at a low productivity per hour. Those not doing the long hours feel guilty that they aren’t and therefore feel pressured to work the longer hours in order to feel valued. To combat this unhealthy culture, it was put forward that directors and managers need to assess a team member’s output rather than the ‘hours in the chair’. A big issue for many in the architecture profession is the lack of work flexibility. For many with or wanting children this is a very big deal, however from my experience it is valuable for everyone at some stage in life. Two years ago my wife finished her PhD at Melbourne University. Being brilliant at what she does, she was offered a post doctoral fellowship with internationally renowned academics based in Newcastle NSW. This caused a dilemma for how to facilitate both of our budding careers simultaneously whilst ensuring our very strong relationship remained so. For me, the opportunity for my wife and her career was far too important to be passed up. This realisation led to a conversation with my employer to negotiate the required flexibility. What was put on the table was a single year of work where I would be in the office every second week whilst working remotely over the internet the alternate week. The alternative to this arrangement, as I explained to my boss, was my resignation. Fortunately he agreed and 2012 became one of careful scheduling, airports and a strange double life. With meetings scheduled in advance to coincide with the Melbourne weeks, the Newcastle time became freed up for highly productive drawing and design work. Between the remote desktop software, email and phone calls there were very few instances where my physical absence was an issue. In summary work flexibility is a win – win situation for both the employer and the employee. This is a very positive step which has potential to have a large effect on the industry if it is widely adopted. Architect Stuart Harrison suggested via twitter that the guidelines when finished could be made a requirement for practices who wish to sign up for A+ membership with the Australian Institute of Architects. To me this is an eminently sensible idea which could facilitate real change. Architects are good at self-recognition of excellent architecture through various awards programs. These awards are project based and are summarised down into glossy ‘hero shot’ photography. The question was posed at Transform, Why can’t we have Architecture awards for the best pro bono work or best family friendly practice? Taking it a step further how about awards for community leadership, mentoring or architectural advocacy? To me, this recognition of a scope of practice wider than that of design architect is fundamental to the advancement of the industry. With her term as the National President of the Australian Institute of Architects having just completed Shelley Penn has done a fantastic job representing architects at all levels. What she brought to the position was refreshing and inspirational. One of the most amazing aspects of her role is that it was done whilst practicing as a sole practitioner. Thanks and recognition must also go to the team behind the Equity and Diversity research, the Parlour Website and the Transform event. This work is already paying dividends for architects, graduates and students across Australia. It is truly world leading and is likely to have many ideas exported overseas for the benefit of the international community. For further detailed accounts of the event and its fantastic speakers, here are some great articles worth reading. Shelley Roberts Architect would like your assistance in supporting an event at The Savoy Ballroom at The Grand Hyatt Hotel on Saturday the 22nd June. The 2013 Homework Ball is organised by the Bethlehem Community to help its ongoing support of homeless women. As well as supporting a very worthwhile cause you will have the opportunity of being entertained by the full cast of HAIR who will present a powerful pocket sized performance of the much loved hits from this iconic musical. Other entertainment coups for the night include La Voce Della Luna choir, the Velvet Corporation and everyone’s favourite: DISCORAMA. This entry was posted in 2013 Architecture Conference, all posts, construction industry, Gender Equity in Architecture, Uncategorized and tagged 2013 Homework Ball, draft guidelines for equitable practice, Justine Clark, Karen Burns, Lee Hillam, Naomi Stead, Parlour: Women Equity and Architecture, Shelley Penn, Shelley Roberts, Stuart Harrison. Bookmark the permalink. Shelley Penn is such an inspiration to not only me, but the younger generation of Architects. She’s an excellent great role model not only because of the roles you mention, but that she also balances all of this with motherhood too and more! She really deserves more recognition! Just came across your blog Michael – nice work! Love your take on Transform.. it was a great day wasn’t it? One thing I noticed was how different the ‘feel’ was to other Archi-events – everyone seemed to let their guard down and feel more comfortable in opening up. This was especially true in the break-out discussion groups. I have recently been thinking it would be a good idea to hold a regular (monthly?) Parlour/Transform type informal discussion group – anyone else interested? I also wanted to congratulate you and your wife on your willingness to try out an unconventional working arrangement to suit your particular needs. Personally, I have found the single most important factor in the success of my family + archi-business life has been the willingness of my husband and I to negotiate a work/life structure that works for us both (that changes as needed depending on differing circumstances and priorities). It’s not about finding the ‘perfect’ arrangement, it is about letting the structure evolve over time – we keep checking in to see how are all feeling (including the kids!) and adjust as needed. Is this how you’ve found it as well?